The Spasskaya Tower is the main tower with a through-passage on the eastern wall of the Moscow Kremlin, which overlooks the Red Square. The Spasskaya Tower was built in 1491 by an Italian architect Pietro Antonio Solari. 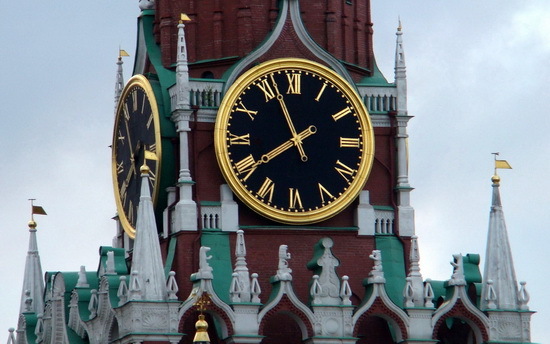 According to a number of historical accounts, the clock on the Spasskaya Tower appeared between 1491 and 1585. It is usually referred to as the Kremlin clock. 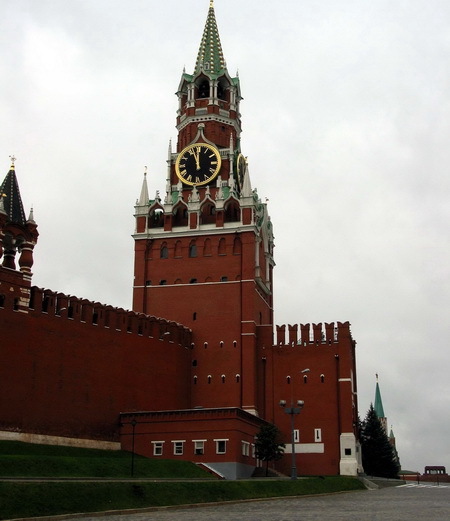 The Kremlin Clock is a historic clock on the Spasskaya Tower of the Moscow Kremlin. The clock dial is above the main gates to Red Square. For decades, the chimes have rung on the quarter hour, with bells tolling for each full hour. Big Ben is the nickname for the great bell of the clock at the north end of the Palace of Westminster in London, and is generally extended to refer to the clock or the clock tower as well. 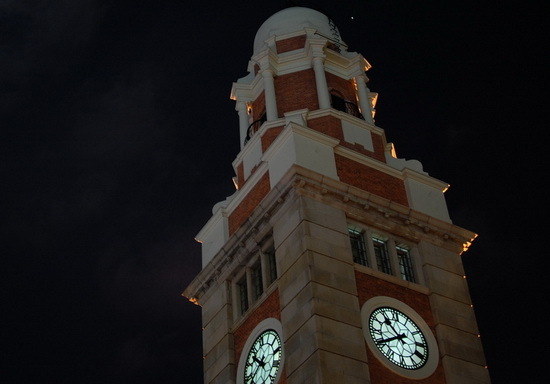 The clock tower holds the largest four-faced chiming clock in the world and is the third-tallest free-standing clock tower. It celebrated its 150th anniversary on 31 May 2009, during which celebratory events took place. The tower was completed on 10 April 1858 and has become one of the most prominent symbols of both London and England. 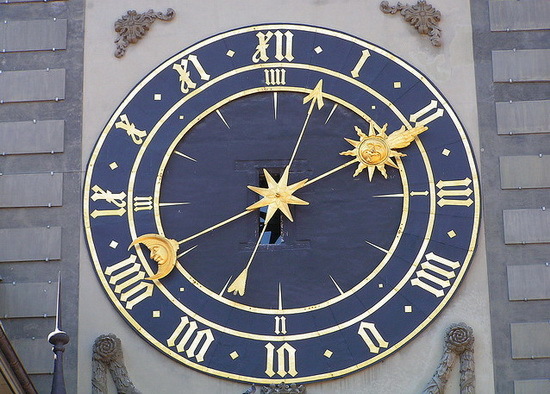 The Clock Tower was once the largest four-faced clock in the world. The clock and dials were designed by Augustus Pugin. The clock dials are set in an iron frame 7 metres (23 ft) in diameter, supporting 312 pieces of opal glass, rather like a stained-glass window. Some of the glass pieces may be removed for inspection of the hands. The surround of the dials is gilded. The hotel tower is topped by a four-faced clock, visible from more than 25 kilometres (16 miles) away, which is the largest clock in the world. 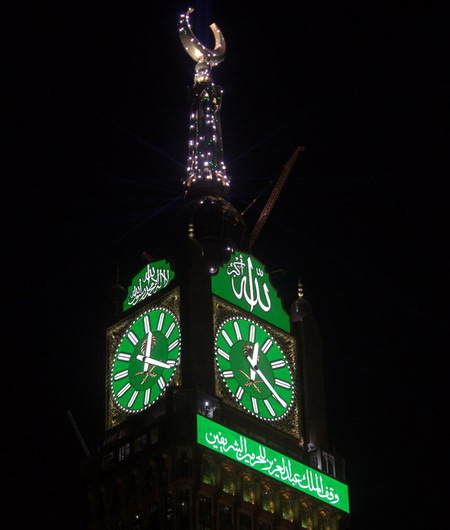 Each of the clock's four faces is 46 metres (151 feet) in diameter and illuminated by 2 million LED lights, with four oriented edges, just above the clock alongside huge Arabic script reading: “God is the Greatest” on the north and south faces and on the west and east the Koran. 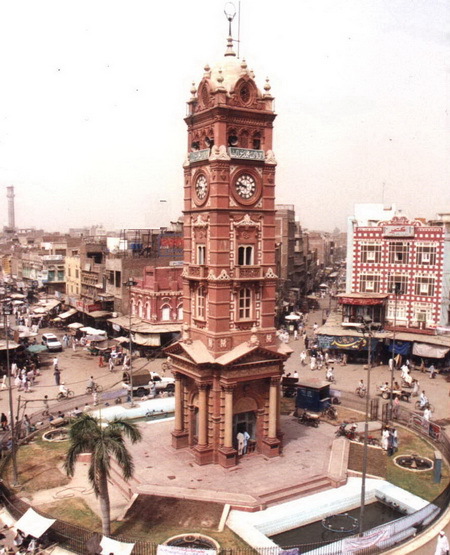 The Faisalabad Clock Tower is a clock tower in Faisalabad, Punjab, Pakistan, and is one of the oldest monuments still standing in its original state from the period of the British Raj. It was built by the British, when they ruled much of the South Asia during the nineteenth century. The majestic Clock Tower of Faisalabad was constructed out of the funds raised by the local Zamindars. The locals refer to it as "Ghanta Ghar" in Urdu which translates into Hour House in English. It is located in the older part of the city. The clock is placed at the center of the eight markets that from a bird's-eye view look like the Union Jack flag of the United Kingdom. Built out of red bricks and granite, the Clock Tower peaks at 44 m (144 ft), and is topped by a 7-metre (23 ft) lightning rod. The top of the tower can be reached by a wooden staircase located within. The interior of Clock Tower had previously been open for visit, but is currently closed for maintenance. 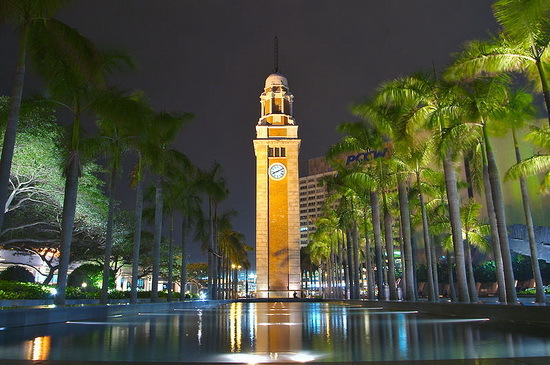 The clock tower is located near Victoria Harbour at the foot of Salisbury Road. 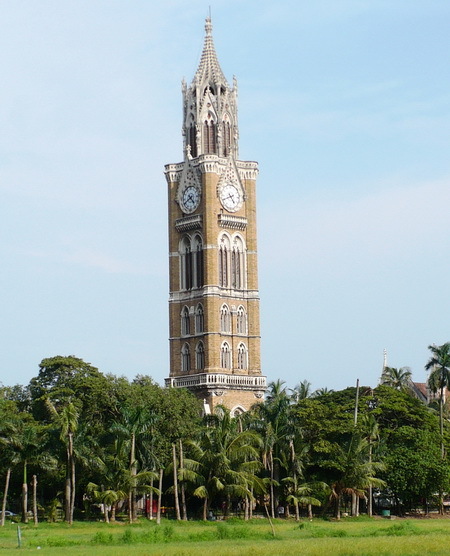 The Rajabai Clock Tower is a clock tower in South Mumbai, India. 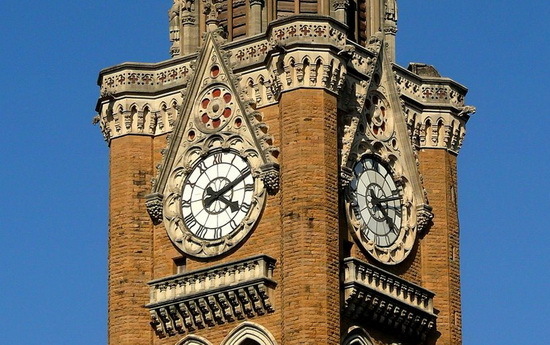 It is located in the confines of the Fort campus of the University of Mumbai. The tower stands at a height of 85 m (280 ft). The Rajabai tower was designed by Sir George Gilbert Scott, an English architect. 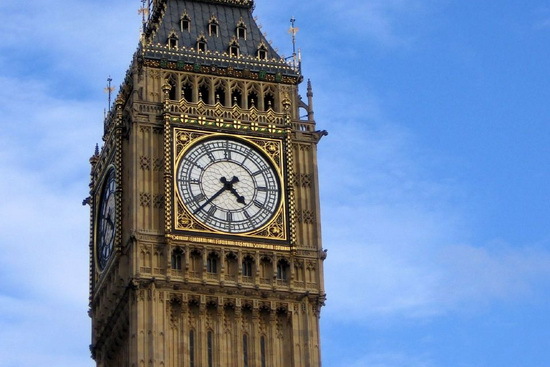 He modeled on Big Ben, the clock tower of the UK houses of Parliament in London. The tower was closed to the public after it became a frequent spot for those attempting to commit suicide. During the British Raj, it played the tunes of "Rule Britannia", "God Save the King", "Home! Sweet Home!" and "A Handel Symphony", out of a total of sixteen tunes, which changed four times a day. It currently chimes only one tune every 15 minutes. 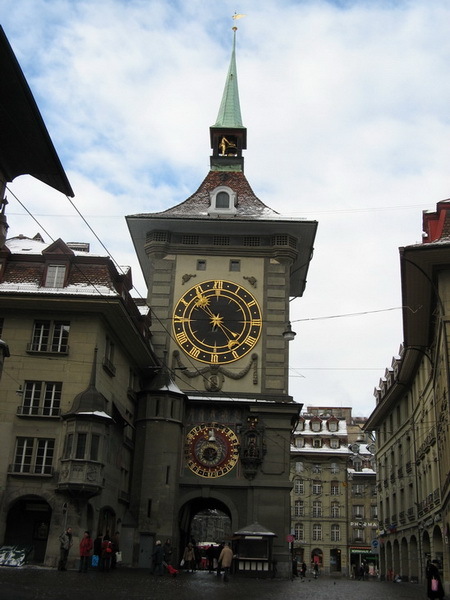 The Zytglogge tower is a landmark medieval tower in Bern, Switzerland. Built in the early 13th century, it has served the city as guard tower, prison, clock tower, centre of urban life and civic memorial. Despite the many redecorations and renovations it has undergone in its 800 years of existence, the Zytglogge is one of Bern's most recognisable symbols. It is a heritage site of national significance, and part of the Old City of Bern, a UNESCO World Cultural Heritage site. 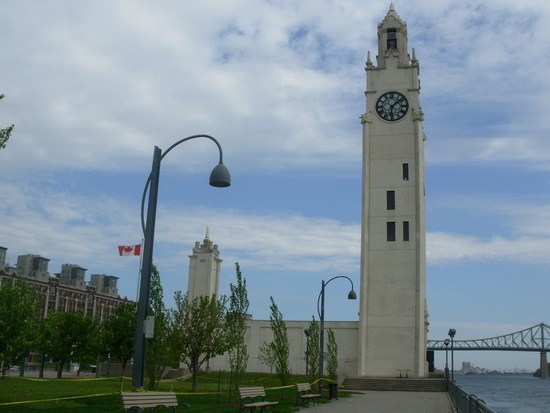 Montreal Clock Tower is located in Quai de l'Horloge, originally called the Victoria Pier, in the Old Port of Montreal in Montreal, Quebec, Canada. Also called The Sailors' Memorial Clock, the cornerstone was laid by the Prince of Wales, on Oct. 31, 1919, with the 45-metre (148 ft) tower completed two years later as a memorial to the Canadian sailors who died in the First World War. The tower has a beautiful bird's eye view of the city of Montréal from the observatory. The original plans called for the clockworks to be connected to five bells that would chime every hour, but the carillon was never built. 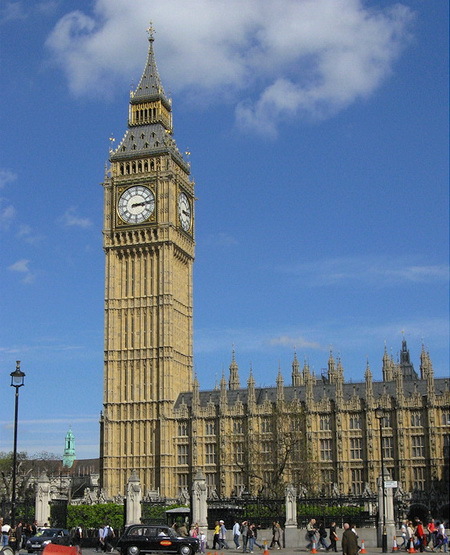 The clock was constructed in Croydon, England by the firm of Gillett & Johnston, and its mechanism is similar to the one that drives Big Ben at the Palace of Westminster. 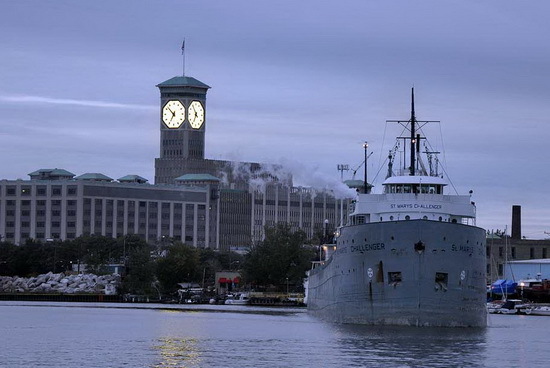 The Allen-Bradley Clock Tower, owned by Allen-Bradley, a product brand of Rockwell Automation, has long been a landmark in Milwaukee. 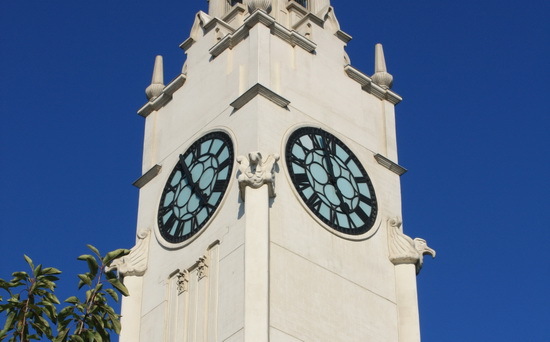 This Clock Tower has one of the largest four-faced clocks. Each face has a diameter of 40 feet, 3-1/2 inches (12,5 m). Dedicated on October 31, 1962, it rises 283 feet (86 m) from the streets of Milwaukee, and requires 34.6 kilowatts of electricity for lighting and power. Because the octagonal faces are nearly twice the size of the faces of London’s Big Ben, chimes were never added in order to allow Big Ben to remain the largest four-faced chiming clock in the world. 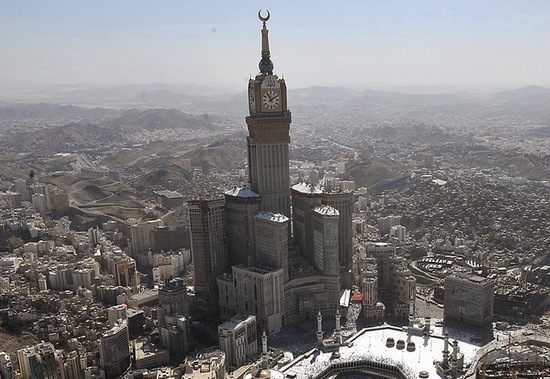 Both towers held their respective titles of largest clocks in the world until the completion of the Abraj Al Bait clock tower in Mecca, Saudi Arabia. 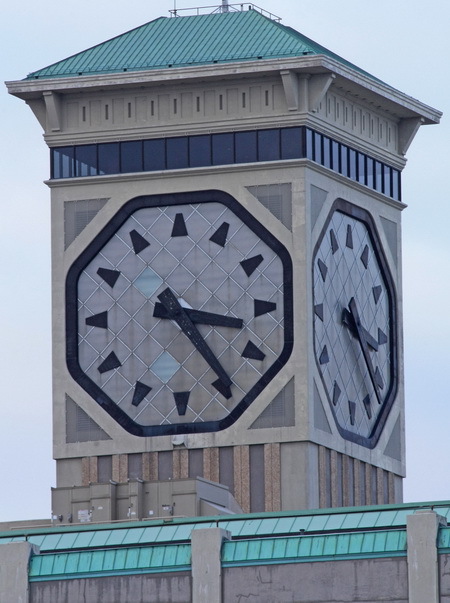 Each hour hand of the Allen-Bradley Clock Tower is 15.8 feet (4.8 m) long and weighs 490 pounds (220 kg). Each minute hand is 20 feet (6.1 m) long and weighs 530 pounds (240 kg). The hour markings are 4 feet (1.2 m) high. 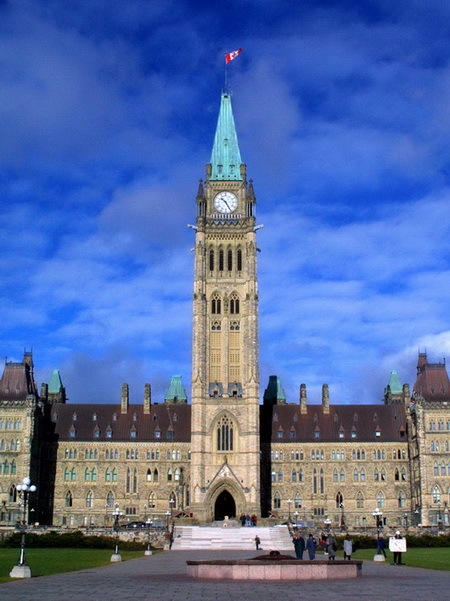 The Peace Tower is a focal bell and clock tower, sitting on the central axis of the Centre Block of the Canadian parliament buildings in Ottawa, Ontario. The present incarnation replaced the 55-metre (180 ft) Victoria Tower after the latter burned down in 1916, along with most of the Centre Block. It today serves as a Canadian icon, and appears on the obverse of both the Canadian fifty-dollar and twenty-dollar bills. Peace Tower is tall 92.2 m (302 ft 6 in). 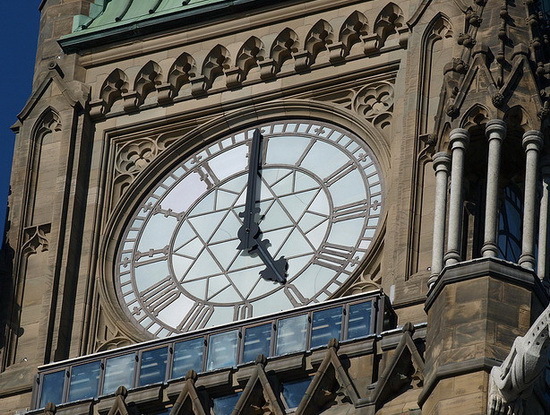 Accompanying the Peace Tower clock is a 53-bell carillon, conceived by an act of parliament as a commemoration of the 1918 armistice that ended World War I. The bells weigh from 4.5 kg to the 10,160 kg (10 lbs to 23,399 lbs) bourdon, all cast and tuned by Gillett & Johnston in Croydon, England, and which are used by the Dominion Carillonneur for both regular recitals and to toll to mark major occasions such as state funerals and Remembrance Day.